We all love the warmer temperatures and some sunshine back in our lives now that Spring is in the air. But that also means the dreaded Spring cleaning must begin! But don’t panic! I’m here to help you with some really easy (and affordable!) tips and tricks to help you tackle that cleaning to-do list. 1. The kitchen. I usually start my Spring cleaning in the kitchen. My first tip is to not let the whole house overwhelm you and focus on just one or two tasks per day. For example, start in your kitchen (where if you’re anything like me, you love your kitchen and you spend a lot of time there). Pull everything out of your fridge and toss out all of the leftovers and expired items. Wipe down the shelves and hit the freezer too. 2. Windows and window treatments. Windows need a good cleaning more often than not and now that it is Spring they will need it a bit more because of the pollen in the air. Pick a day and focus on the windows. For the best clean and streak free result, use a combination of white vinegar and water along with crumpled up newspapers. If you can remove your window treatments, take everything down and start washing. With mini or vertical blinds, use dryer sheets to wipe the dust from them. If they are really dirty, take them down and give them a bath in the tub. 3. Furniture. Our furniture gets so much wear and tear having boys in the house, so a great trick is to use rubbing alcohol in a spray bottle and spot clean any fabrics in your home. Use a damp cloth after it sits for a little while and it should help remove stains. 4. The bedrooms. First, I strip the bed of sheets, pillowcases, comforter and mattress cover and start a load of laundry while I do my cleaning. Next, I tackle the walls, windows and baseboards. I use a microfiber cloth and warm, soapy water to wipe the walls, window sills and baseboards and a glass cleaner to polish the window glass. Lastly, I vacuum the floor and to freshen up my carpets, I sprinkle them with some baking soda and let it sit for a few minutes. Then, I vacuum the rug twice (once in each direction) to deep clean into the pile of the carpets. 5. The basement. We love hanging out in our basement a lot because this is where we have our biggest tv in the house to watch our movies. Our basement is on the top of my list of places to clean all the time, not just when I do my Spring cleaning. But also, just outside the bathroom of our basement is where we place our cat Oscar’s litter box. We love our cat, but what I don’t love is our home smelling like cat. My husband and I have tried many cat litters, but the new Purina® CATS® Free & Clean™ Unscented Clumping Litter won us over. We don’t want to smell the litter box, but we also don’t want to overwhelm Oscar’s nose with harsh fragrances. So we love that this cat litter is unscented, free from dyes and perfumes and has activated-charcoal that absorbs odors. Plus, the TidyLock® Protection locks away odors! 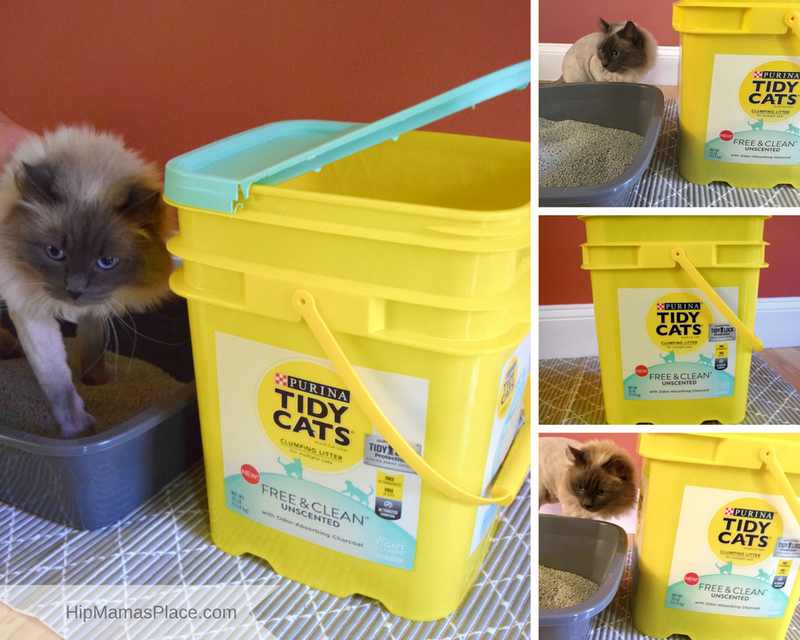 It’s also 99.9% dust-free, holds up and forms tight clumps that make cleaning up the litter pan so easy! 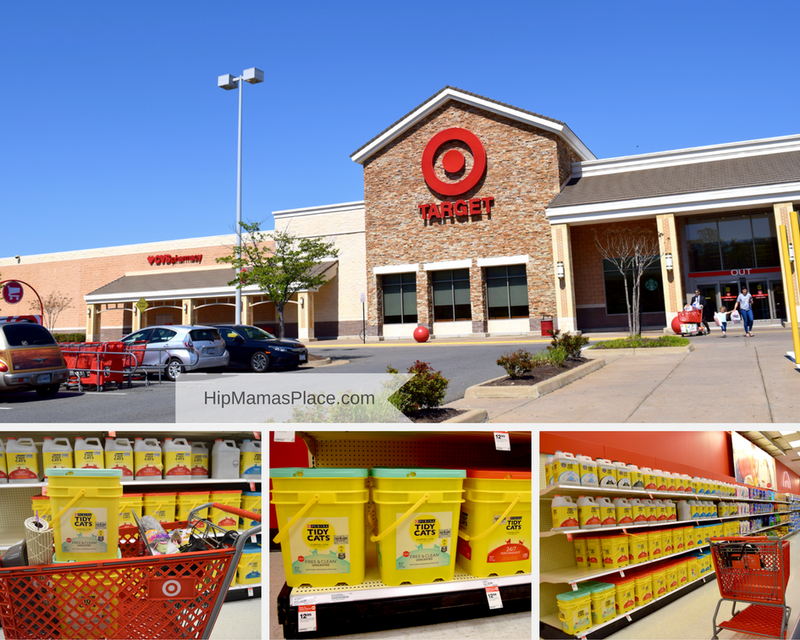 You can get the Purina® Tidy Cats® Free & Clean Unscented Clumping Litter in many other stores, but since I love shopping at Target for Oscar’s needs, I buy mine there. I love shopping for Oscar’s needs at Target and the prices are always reasonable. As you can see, I got a few other things I needed for Oscar at my last shopping: a new mat, a litter pan and a few new toys. 6. Bathrooms are my least favorite places to scrub, but I do have a super trick for you to try. This is especially a good one if you have hard water stains around your toilet. I pour about a cup of vinegar into the toilet bowl and swish it around with a toilet brush and I let it sit for about a minute. Then add about a cup of baking soda to the toilet bowl and follow it by adding another cup or two of vinegar. There will be a fizzing action, allow it to work for about 10 minutes. Then with a toilet brush, spread the solution around the toilet bowl where the stains are. Don’t flush the toilet while you do this. Let the vinegar and soda solution sit a while. Then, try scrubbing away any remaining stains, then flush. Voila! You should have a super clean and stain-free toilet bowl now! 7. Floors. Now it is time for some cardio, so get out your vacuum and get moving. Move furniture, get the baseboards, and behind the fridge too because dust bunnies can affect the coils and cause a problem if they build up. If you have hardwood floors, do what you do and get those completely cleaned as well. Again, this doesn’t have to be done all in one day, but a tip is to pick a day when no one is home, especially the kids, so your floors will floors will look clean for more than 5 minutes. 8. Pet hair and dust. I love a good lint roller to not only remove lint from my clothing, but for pet hair and dust too. Use a lint roller on your sofas, small rugs, and even to remove dust from lampshades. (dryer sheets work too!) My throw pillows often become a bed for my cat, so use it on them too. 9. Did you know you can use your dishwasher for more than dishes? Yes! I love that I can throw my plastic pet toys, kitchen sponges and brushes, and even my kids small toys that are waterproof. Just run the machine on a normal cycle and your items will come out clean and ready to use again. I love Spring so much and even though I love cleaning our house and I look forward to Spring cleaning every year, I know that it can still get overwhelming. With these easy and helpful tips and tricks, my life is a little bit easier any time I have to clean my home. 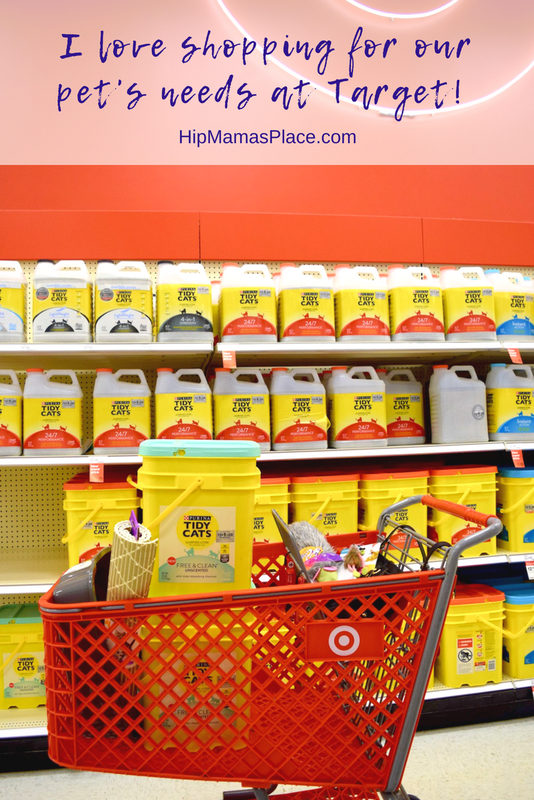 And the next time you are at Target and you need a really good cat litter, check out the Pet Care section and grab the Purina Tidy Cats Free & Clean Unscented Clumping Litter! So, what do you think about these Spring cleaning tips and tricks? And if you have a pet cat, would you try Purina Tidy Cats Free & Clean Unscented Clumping Litter? Tell me in the comments! « 8 Tips for a Fun & Safe Road Trip + ExxonMobil Earth Day Drive Away Sweepstakes! Really useful tips! I don’t have a cat but the Purina Tidy Cats products sound pretty awesome. I am totally going to try that vinegar bathroom trick! Thanks for the idea! Thanks for the tips and tricks. really useful! I am gonna have to start on my basement cleaning sometime… I just never have enough energy to get on with it. Useful tips, i am going to keep them in mind while cleaning my house! Thanks for all the tips, especially #6. I generally us white vinegar to clean things but I hadn’t thought of throwing baking soda into the bowl with the vinegar. Great idea. I shall try it next cleaning day. It’s really nice to start room by room with Spring cleaning instead of trying to clean everything at once. It’s like a project. Love that you found a litter that won’t be harsh for your fur baby! Oscar is such a cutie! What a good idea to start Spring cleaning in the kitchen so the whole house won’t overwhelm you. I do as much cleaning as I can every day because I find it easier that way than to wait until the tasks gets too overwhelming. I also have two cats and I will try the Purina cat litter next. Great tips here for spring cleaning, I definitely learned a new thing or two especially the tip on cleaning the toilet bowl and throwing more than dishes into the dishwasher! Great idea. I love that you said to focus on one task at a time. It can get overwhelming when you try to do everything at once 🙂 I’ve never used my dishwasher for more than dishes but I am definitely trying it now! This is a great list of spring cleaning. It has everything, the floor, the pet hair and dust, furniture, window and the window treatments. I like how you have group them into each group and into point form, very easy for me to read and follow the steps. So many great tips!! We did our spring cleaning last month – feels SO good to be done!! I definitely agree with your tip on starting in the kitchen and not overwhelming yourself with trying to tackle too many things at once. Haha, bathrooms are never fun to clean but once the job is done, it is very satisfying. Your cat is so adorable!! I would so try this litter too if I had a sweet little kitty! I love these tips. My windows and window treatments get neglected for sure. You are right you need to focus on a couple things at a time. It can be very overwhelming. I have been working really hard in our yard, trying to make it spring barbecue ready. But my house needs a little TLC. These are great suggestions. These are really awesome tips! I don’t have a cat but I do love shopping at Target for my dog’s need! We been doing some spring cleaning mostly in our bedroom and kitchen . I agree also that don’t try and clean the whole house. We are slowly making our way through our spring cleaning chores. I am just about done, but now I need to get ready for a yard sale lol. I do think doing it in stages is key to not getting burnt out to the point where you just quit and decide you’ll just wait til next year to tackle it. I love these tips! I didn’t know about the dryer sheets removing dust; I am SO trying that!!! It’s so smart to take one room at a time so it’s not overwhelming. I get overwhelmed while cleaning my house because it takes so much time and of course other things sometimes takes precedence like the kids, etc. I am excited to try the dryer sheets. Lots to clean during spring cleaning that’s for sure. We don’t have a basement but we do have pets – lots of hair everywhere!! Yikes. Gotta love Target! Great deals there and so many nice things to buy! 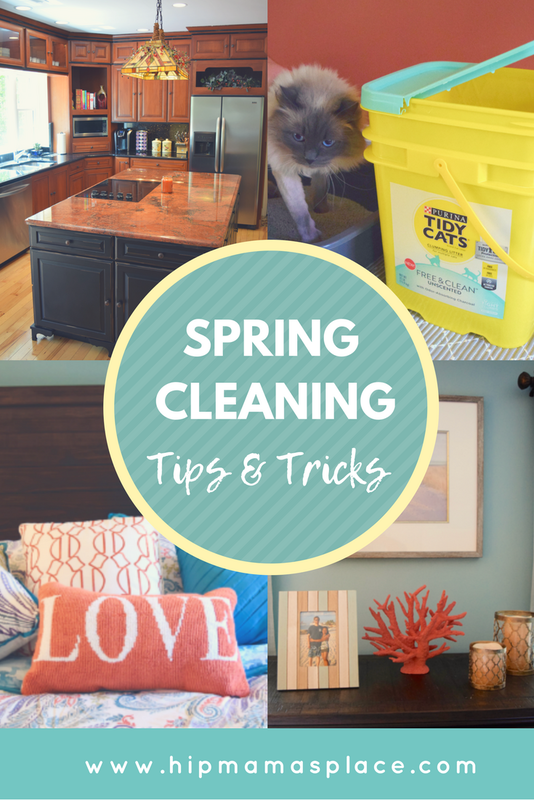 I am doing my spring cleaning now so I appreciate all the tips! These are some great tips, I finally managed to find the issue that has been plaguing the hoover for forever today so I feel like my Spring clean is now ON! Thanks for all of the great tips. You really do have to remember to no get overwhelmed and just start small. Otherwise, one tends to just give up, lol. I love your cat. I agree, I get all of my pet’s supplies at Target too. Great prices and variety. These are all great tips and you really get the house scrubbed clean not just in order or get rid of cluttter. I think trying to get one room a week is a good pace and will get it done in a few weeks. I love these tips. The best one is not trying to do it all at once. You will NEVER be able to do that. Or if you do, you won’t clean again for another solid year. Slow and steady wins the race. I agree with not trying to tackle the whole house in a day or two. It’s too overwhelming and can lead to rooms/areas not getting done. Your attention to detail will come in handy! I love that you included some homemade cleaning product recipes. When you are cleaning the whole house at once, you can’t be too careful with what you use! I need to give my fridge a good wipe down . . . I try to keep up with doing that but sometimes it gets ahead of me!